IIFT is the name and Kolkata is the place. Yeah, that’s where I would be spending a better part of my next 2 years. The sheer thought of getting into one of the Top B-Schools of India filled me with goosebumps. The eagerness to get on the campus was strong and the emotions only got stronger as I travelled my way from the airport to the institute. Since it was the first time that I was going to live away from home, mixed feelings overshadowed my thinking. On the one hand, I would be missing all the good moments that I spent with my family and relatives back home, and on the other, I was excited about the life that was awaiting me barely a few minutes away (not taking into consideration the traffic of Kolkata). Eventually, our cab stopped in front of what looked like a huge Red Castle, with many different blocks in it. I, and one of my coaching friend, who too got admission into IIFT, stood at a distance for a while and looked at our soon-to-be home for a while. I tried matching every part of the building with the images that I surfed through on Google Maps only to later come to the conclusion that the campus was far more beautiful than what I had in mind. Subsequently, we entered the campus; had a good look at the whole of it and at the end of which I started having positive vibes about the life that I was gonna live in this Red Castle. That’s all about the aesthetics part. It is an old adage that a “House” becomes a “Home” only when a family comes and live in it. 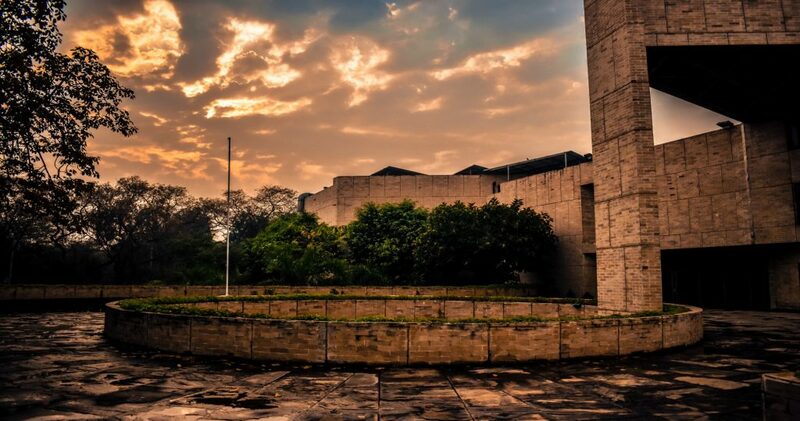 Similarly, the beauty and uniqueness of a college is not just about how beautiful or advanced the building is, but it also is defined by the people who live in it, works in it and studies in it. Although it has been just around 15 days that I’ve spent here, but during this period I experienced and observed IIFT to a good extent. IIFT is what it is because of those budding students who come from diverse geographical, educational, linguistic and religious background with different aspirations in their mind and hearts; because of that excellent faculty which comes with a great personal and professional history behind them ready to unload their brains as and when students need them to; because of that perseverant senior batch which is always on its feet ready to guide the juniors in whichever way possible, and last but not the least, because of that tireless administration & helper staff which works day and night to facilitate the learning process of the students. This environment is what makes my college unique and a thriving place to study and groom at. If given an opportunity, I would like to work with Idea Cellular Limited of ABG Group. It will soon become the largest Telecom company in India post its merger with Vodafone. However, tight competition in this sector would mean that the service provider has to always be one step ahead of the competition. Idea Cellular is a great company to work for as also acknowledged by Business Today which has included Idea in its list of Top-25 Companies to Work For.